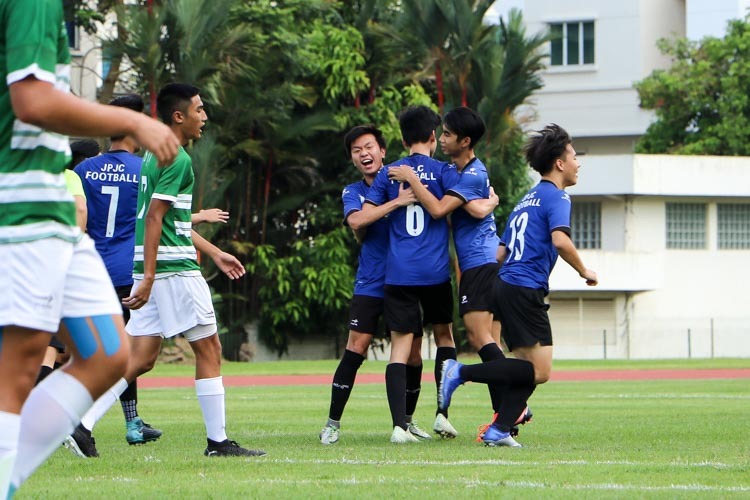 Millennia Institute, Thursday, May 5, 2016 — Victoria Junior College (VJC) booked their place in the National A Division Football Championship final after they defeated Anglo-Chinese Junior College (ACJC) 5-4 on penalties. The two teams could not be separated after 100 minutes of open play saw them tied 1-1. 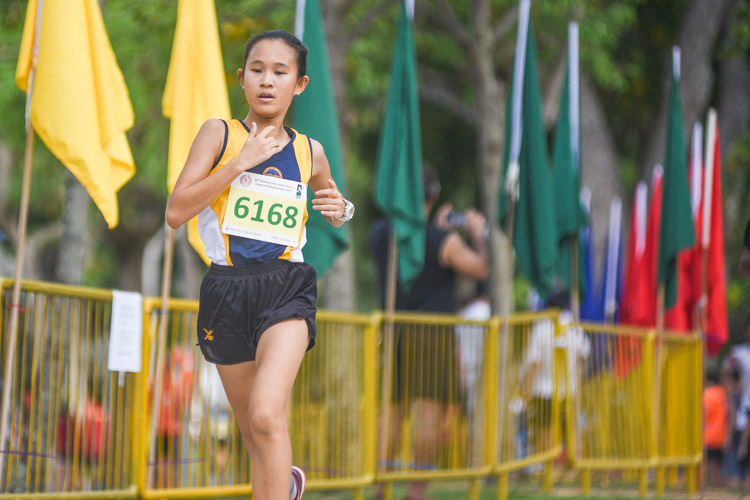 ACJC entered this game after finishing top of their Round 2 group. VJC, on the other hand, suffered a 1-0 loss to Meridian Junior College (MJC) and finished runner up in their group. The game was played on Tuesday, May 3. However, due to lightning risk, the game had to be stopped at the 60-minute mark. The game resumed on Thursday, May 5. ACJC started the game without key player Ayyadarshan (ACJC #14), who was central to ACJC’s progress into the semi-finals. 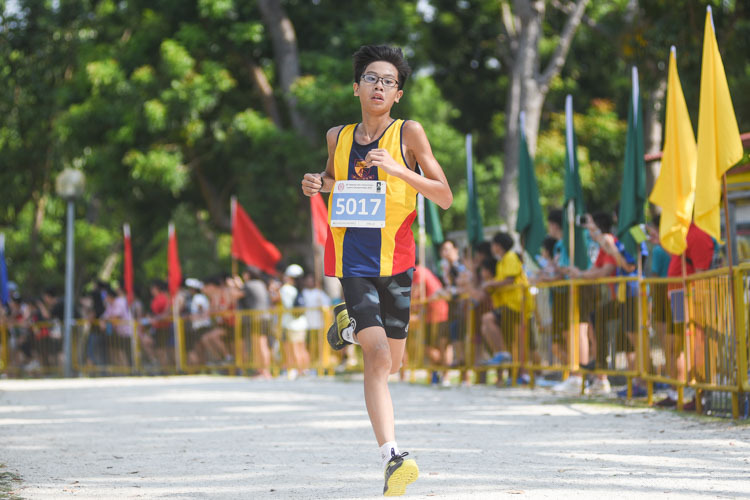 The winger was sorely missed as ACJC’s attack lacked pace and punch. 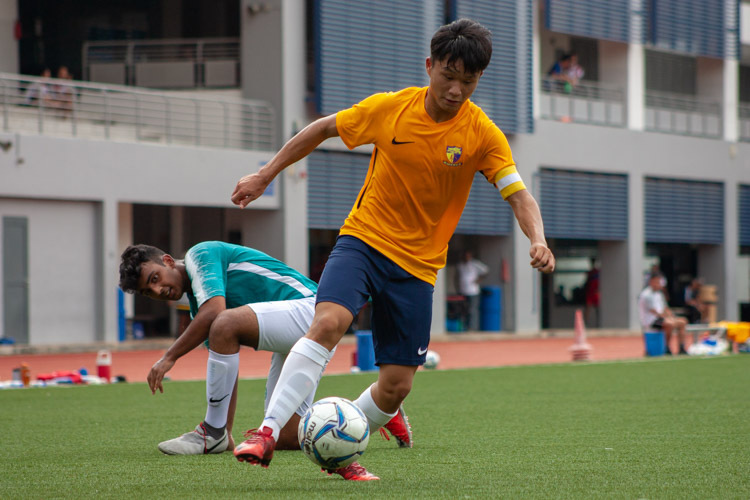 The first chance of the game came when VJC right winger, Michael Collins (VJC #7), received a pass at the right side of the penalty box and hit a swerving ball over the crossbar, much to the relief of the ACJC goalkeeper Ethan Koh (ACJC #1). ACJC replied with an attack of their own just minutes later. Chia Chong Jin (ACJC #18) hit a measured strike from a distanced free kick that hit the crossbar. The ACJC players could not react quickly enough to the rebound as the ball was headed over the goal. VJC’s stoic defence helped to stifle ACJC’s passing game as ACJC struggled to get their fluid passing game going. However, ACJC still looked the likelier to open the scoring. VJC midfield lynchpin, Dashmesh Singh (VJC #16), was responsible for several long passes that helped to spread play and bring some width into their attack. He proved to be a goal-threat too when he caught a bouncing ball on its sweet spot from outside the penalty box, firing a powerful effort that dipped into the top left corner. VJC took the 1-0 advantage into the half-time break. The second half saw the introduction of Ayyadarshan (ACJC #14) on the left wing, captain Tan Kayshin (ACJC #10) moving into centre midfield. ACJC began the half on the offensive as they looked to level the game. Kang Seong Soo (ACJC #7) barged his way through the VJC defence but his shot hit the left goal post. Chia Chong Jin (ACJC #18) then missed the rebound from point blank range inside the six-yard box as he headed the ball wide with the goal at his mercy. Michael Collins (VJC #7) then made a skillful dribble down the left wing, leaving the ACJC defenders on the ground as he made his way into the penalty box. However, his shot went straight at the keeper. 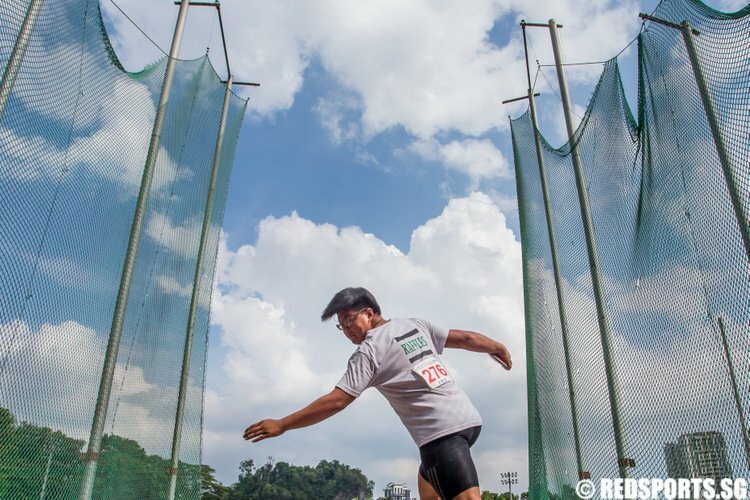 ACJC found themselves wasting valuable chances, from inaccurate crossing to indecisive movement. 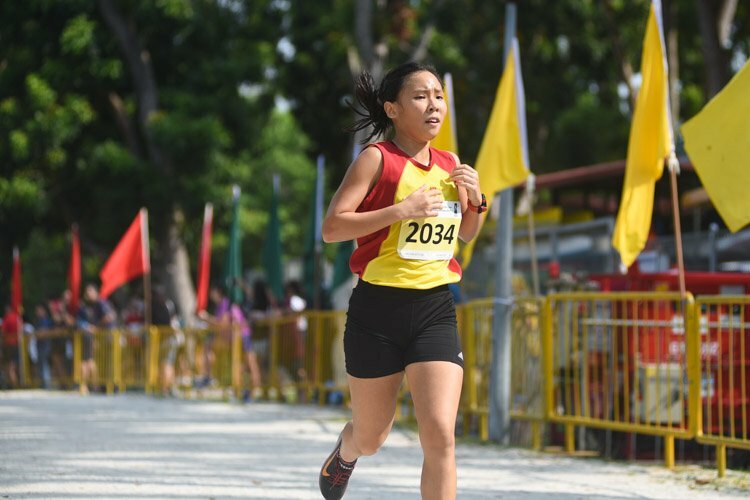 VJC kept ACJC at bay and benefitted from their opponents’ lack of a clinical finish. Michael Collins (VJC #7) again showed a fine touch, killing a goal kick with ease. He followed that up with a mazy dribble around the ACJC right back, nutmegging him in the process. With the 1-0 lead, forward Karuppiah Arasu (VJC #9) moved into defense to neutralize the attacks of Ayyadarshan (ACJC #14). Halfway through the second half, the lightning alert was sounded and the match was postponed after an hour’s wait. The game resumed two days later with both teams fresh and eager. ACJC committed players forward as they went in search of an equaliser in the remaining 20 minutes. Chia Chong Jin (ACJC #18) won a free kick outside the penalty box Devon Gammon (ACJC #8) skied the set-piece opportunity. 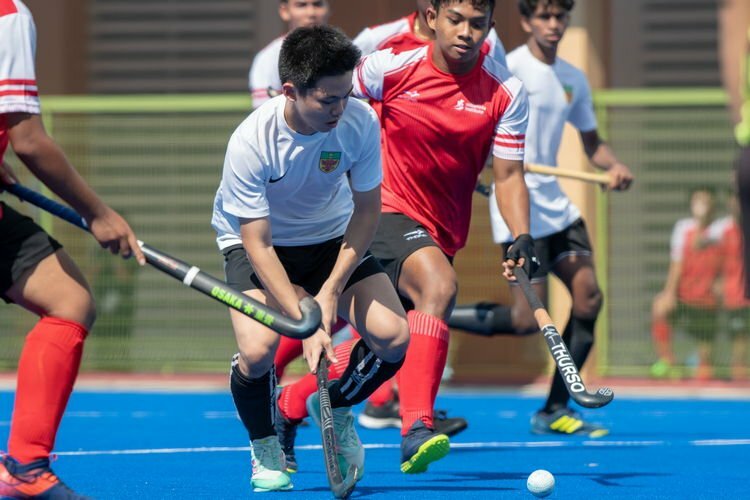 Ayyadarshan (ACJC #14) had little impact on the game as he was heavily marked, with at least two players in close vicinity whenever he got the ball. With five minutes left in the game, ACJC finally got their equaliser when they were gifted a chance. 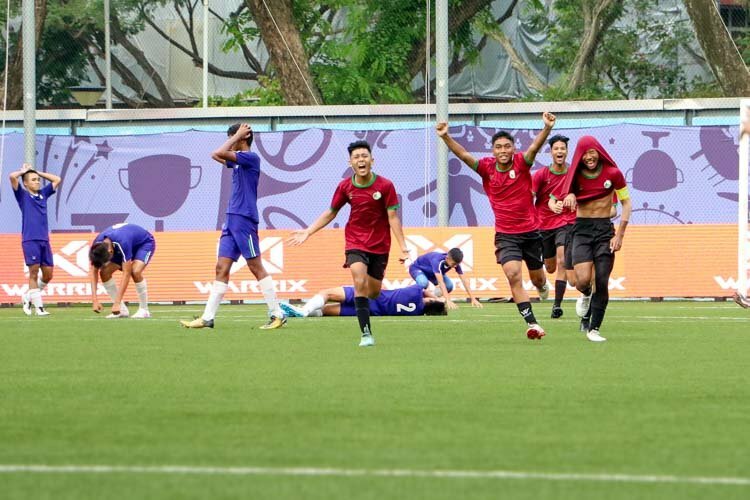 The VJC centre-back made a poor backward header in the penalty area and the ball fell nicely for ACJC skipper Tan Kayshin (ACJC #10) in the six-yard box to score with a header at the far post in a dramatic finish to the second half. The full time whistle went, the score was 1-1, and the match was forced into extra time. VJC goalkeeper Jonas Andersen (VJC #1) was forced to make a double save in the first half of extra time, as ACJC came close to scoring. Both teams’ eagerness to score the next goal led to scrappy play and premature shots. Midway through the second half of extra time, Dashmesh Singh (VJC #16) hit a sweet strike that missed the target by centremetres. The game then went on to penalties as the deadlock remained after 100 minutes of play. 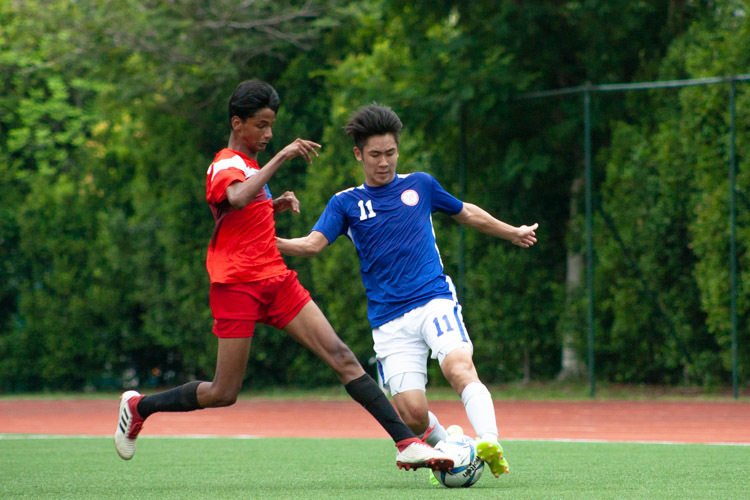 Ayyadarshan (ACJC #14) stepped up and put away the first penalty by slotting it into the bottom right corner. The first penalty miss came when Muhammad Sollehin’s (VJC #10) strike went too far right. ACJC led 2-1 after two penalties each. ACJC’s fourth penalty was unsuccessful as Kang Seong Soo’s (ACJC #7) shot was saved by goalkeeper Jonas Andersen (VJC #1). It was all squared at 3-3 at this stage. ACJC goalkeeper Ethan Koh (ACJC #1) then showed shooting ability as he fired his penalty kick into the top right corner. However, Scott Foong (VJC #21) calmly slotted home his effort to make it 4-4. Into sudden death, Mark Lam’s (ACJC #21) penalty kick went wide of goal. 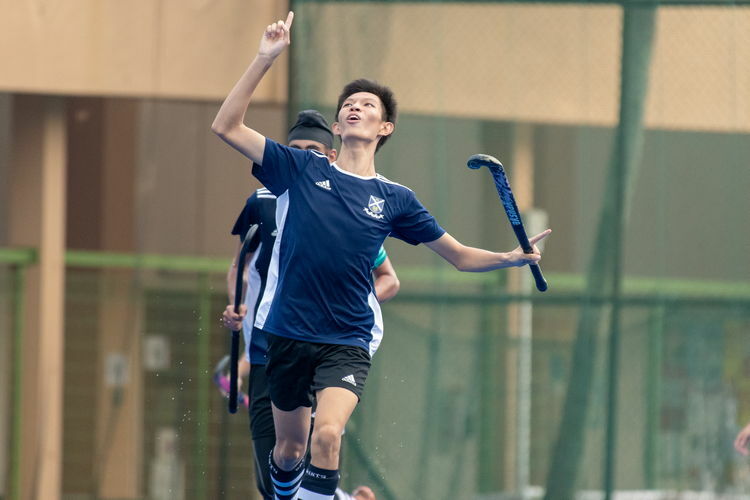 Ryan Chen (VJC #6) then turned pressure into honour as he scored the winning penalty kick to send his team into the final. 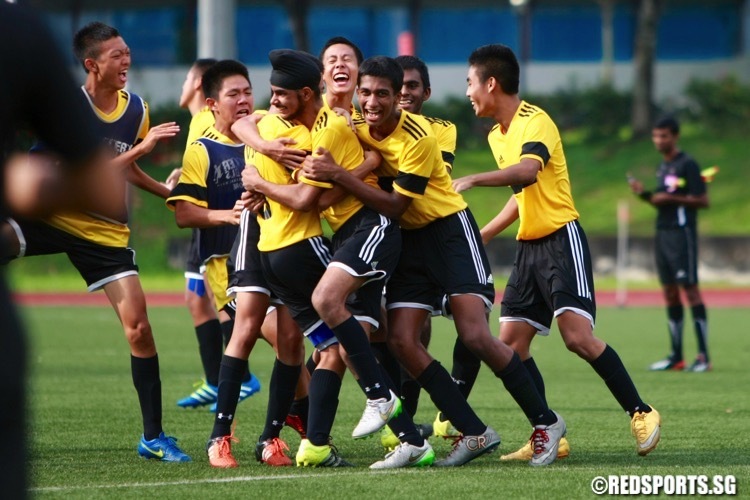 VJC will face MJC in the final on Tuesday, May 10, 5pm, at Jalan Besar Stadium. 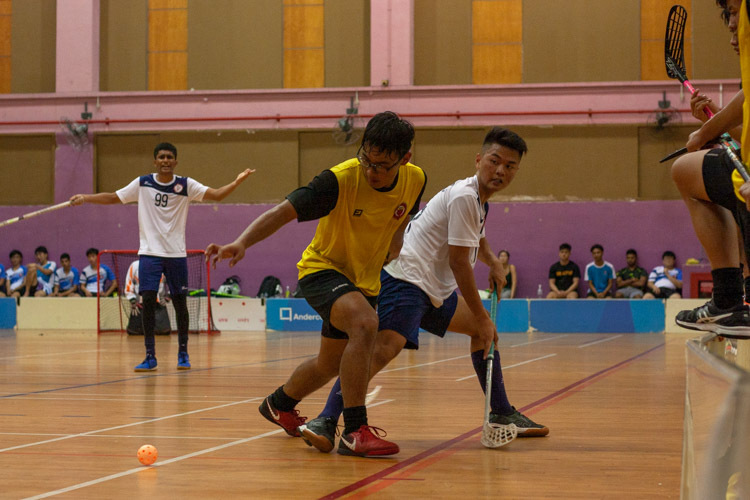 MJC eased past Raffles Institution 6-1 in the other semi-final.